of you or your company. These work well for new product launches, client gifts, party goodies and of course the holidays. They are great from a branding perspective because unlike a gift basket, these allow for logos and brand messages. 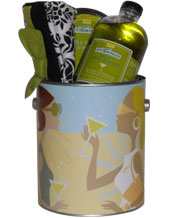 Give us a call to customize your Goodie Tin at (888) 470-3110.